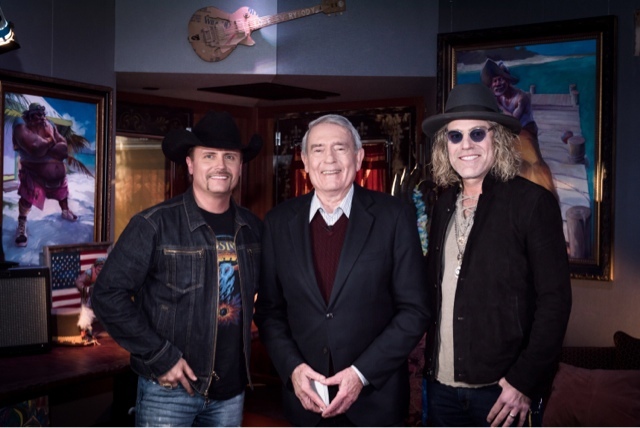 NASHVILLE, Tenn. (February 12, 2016) – Beloved country stars John Rich and Big Kenny—better known as the smash hit duo Big & Rich—rock THE BIG INTERVIEW, in an all-new episode premiering Tuesday, February 16, at 8pm ET. During the candid hour-long sit-down, the award-winning twosome opens up about the trials and tribulations of creating their own label, their musical influences, the creation of the MuzikMafia and how to determine what qualifies as real country music. To see more of this entertaining episode, be sure to tune in to THE BIG INTERVIEW on Tuesday, February 16 at 8pm ET, only on AXS TV. Discover AXS on Facebookand Twitter using #axsTBI. Big & Rich is comprised of Big Kenny and NBC’s “The Celebrity Apprentice” winner John Rich. The multi-platinum hit duo have garnered multiple Grammy, ACM, CMA and CMT Music Award nominations. The first single, “Look At You,” from their latest studio album,Gravity, smashed into the top 10 on the Country chart. The follow-up single, "Run Away With You," kept the momentum rolling, also hitting the top 10. The Country superstars’ first studio album, Horse of a Different Color, includes their hit infectious single, “Save a Horse (Ride a Cowboy).” Other hits include “Comin’ to Your City,” “8th of November” and their No. 1 hit, “Lost in this Moment.” Meanwhile, “Comin’ to Your City” is nearing a decade as the theme song for ESPN’s “College GameDay.